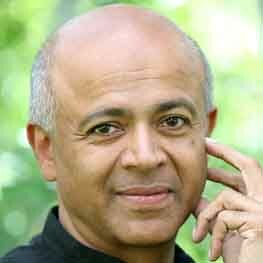 It was announced yesterday that Abraham Verghese has sold the rights to his upcoming novel. This is HUGE news. Lovers of CUTTING FOR STONE, you can rejoice. Abraham’s novel is called THE MARAMON CONVENTION. It’s set in Kerala, India; 1940’s. It follows the life of a precocious girl who escapes her town in southern India to become a pioneering physician in spinal surgery. I love the setting. Since Abraham’s parents are from this part of India, you just know he has done his research. He will have the setting spot- on. I am tickled pink about this news. Now, Abraham is writing this book now. We don’t have a date for it, and won’t for some time. He is going to take his time and come forth with a magnificent novel. So, boy am I lucky. Two of my favorite authors are coming out with books. I have already shared the news about AND THE MOUNTAINS ECHOED by Khaled Hosseini. His new novel comes out in May. This is the best spring for exciting titles! I must race off to read. I am way behind. Do you know that I have never read Cutting for Stone. I must add this to the TBR pile!! OMG! U R going to love Cutting. It is 1 of the greatest books ever written! I kid U not. My heart started beating faster when I read this post. Two of these wonderful writers at the same time! Cannot wait to read these two books.